The Mercedes-Benz B-Class made headlines upon its launch, not because it was just another luxury car, but because it was the first luxury hatchback from one of the three major German carmakers. Over time, its flashier younger sibling, the A-Class has certainly attracted more attention and buyers to. But the B-Class has held its ground by maintaining its status as the more sensible all-round package offering both more room and a better ride. As the hatchback-duo have struck gold for Mercedes-Benz, the B-Class joins in the success celebrations and gets its own 'Edition 1' package just like the A-Class. The Edition 1 package draws attention with a striped decal that runs along the side-skirts of the car. 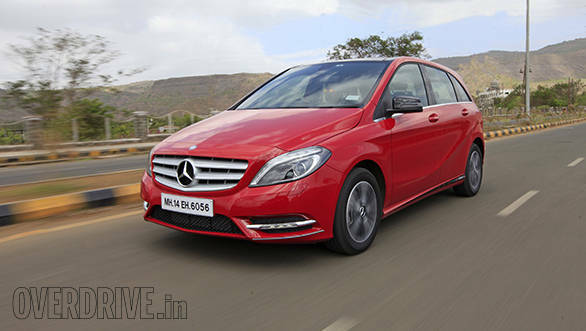 The B-Class Edition 1 also gets glossy black rear-view mirrors and a new design for its alloy wheels. Though not obvious to the naked eye, the ground clearance of the car has gone up too  however, Mercedes-Benz hasn't disclosed the exact figures. 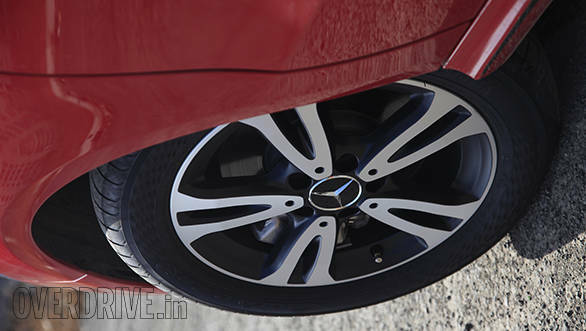 Unlike the A-Class Edition 1, the B-Class Edition 1 gets slimmer 205/50-R16 Yokohama tyres. Like on the A-Class, these tyres are squealy too but don't inspire the same confidence. Thankfully, the increased ground clearance hasn't made any difference to the pitch of the B-Class. It isn't sporty like the A-Class, but not too wallowy either. The ride quality was never a grey area for the B-Class, but with a longer suspension travel, it has improved marginally. It should come together well on long distance journeys. But while its 'sports tourer' marketing spot may not have worked as intended, the B-Class has managed to not only attract nuclear families but also find its place as a second car for current luxury car owners. Therefore, more back-seat creature comforts have been added to the Edition 1. For starters, there is the rear centre armrest with cup holders, which is also expected to become standard across the B-Class. 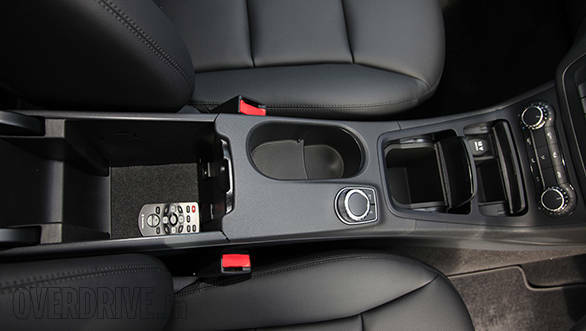 More importantly, the back seat now gets an entertainment package, which includes two LCD screens mated to a DVD player. The screens also display information from the car's COMAND infotainment system. 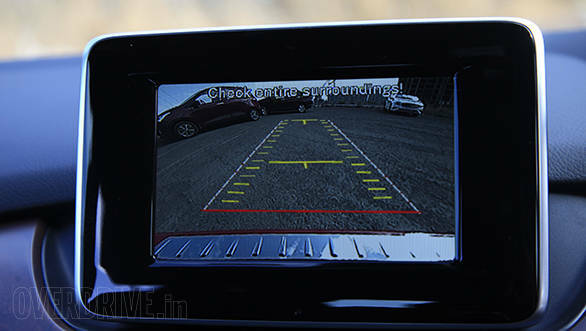 The infotainment system itself now gets a parking camera assist that complements the conventional proximity warning LEDs. The Edition 1 also brings the panoramic sunroof to the diesel variant. The fabric for the sunroof blind is thin and translucent enough to let sunlight filter into the cabin. That would be a bit of downer during the harsh Indian summer. The front passenger seat finally gets electric controls for its reach, recline and height and a memory function for up to two settings. These too are expected to become standard across the A-Class and the B-Class line-up. For now, the Edition 1 package will only apply for the diesel variants of the A-Class and the B-Class. Needless to say, this package will come at the premium over the regular A and B, thanks to the additional features and improvements they bring to the table. The A- and B-Class Edition 1 will be launched in India on June 24, 2014.